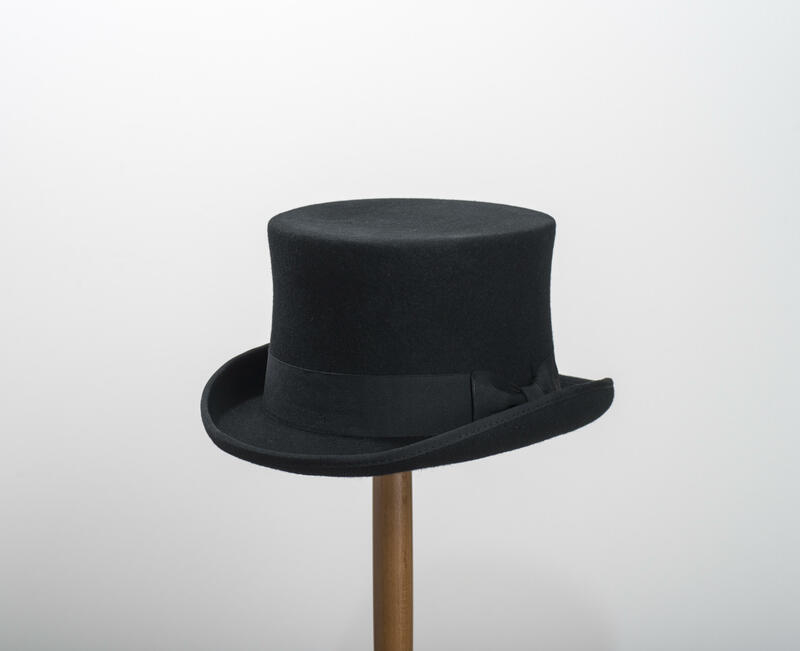 A classic style black top hat handmade using 100% wool felt, with a satin lining and leather sweatband, and featuring a matching ribbon band and bow. 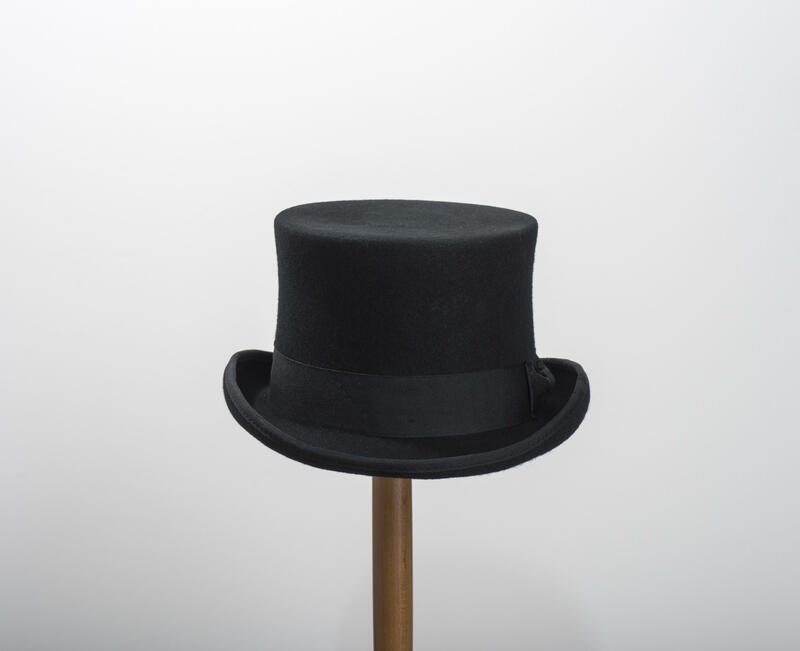 The brim also has a ribbon binding. 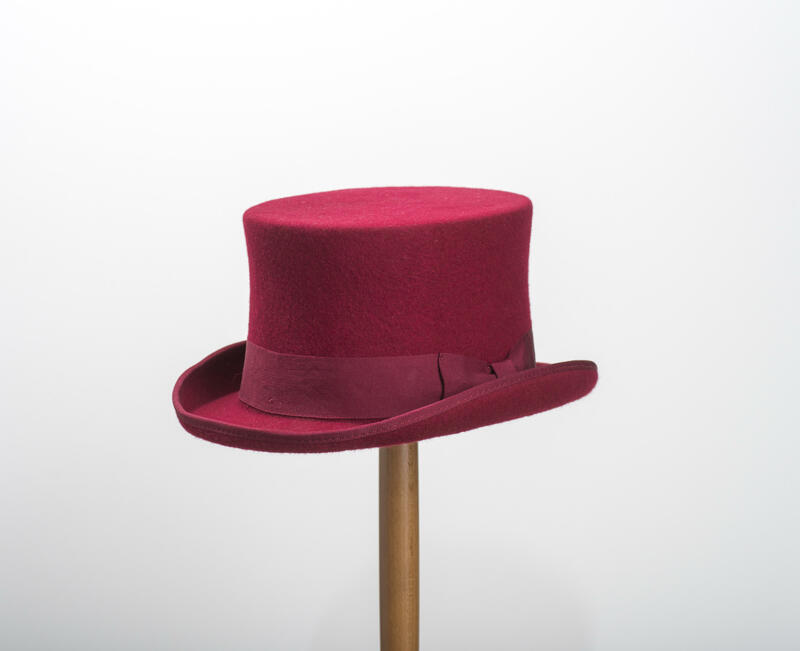 Perfect for a day at the races, or a wedding, this hat is also available in navy and wine.